Zhuliany is the second airport that serves the city of Kiev, from which it is about 7 km. Despite its proximity to the capital, it is a secondary port of call, although numerous daily connections are guaranteed. Boryspil instead it is the main airport that serves Kiev, the most important airport in the country. Bravo Airways, seasonal charter: Alicante, Antalya, Bodrum, Burgas, Dalaman, Djerba, El Alamein, Hurghada, Izmir, Malta, Monastir, Patras, Sharm El Sheikh, Tirana, Tivat, Tunis. Ernest Airlines: Bergamo, Bologna, Naples. LOT Polish Airlines: Warsaw Chopin. Motor Sich Airlines: Lviv, Odessa, Zaporizhia. 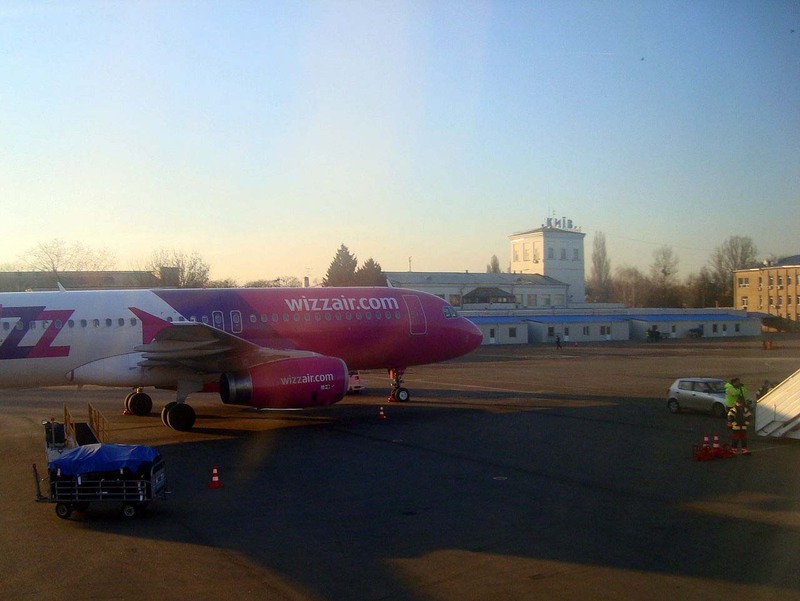 Wizz Air: Hamburg, Bratislava, Budapest, Cologne / Bonn, Copenhagen, Dortmund, Gdańsk, Hahn, Hanover, Katowice, Larnaca, Lisbon, London-Luton, Lublin, Memmingen, Nuremberg, Poznań, Tallinn, Vilnius, Warsaw-Chopin, Wrocław. Yanair: Batumi, Tbilisi. Seasonal: Tel Aviv-Ben Gurion. From this link, you can buy your flight to Zhuliany Kiev, AT THE LOWEST PRICE! By taxi and by bus, you can easily reach the city center and the various city districts. There are several bus lines that pass through the airport. Buses, in general, are in operation every day from 06: 30 to 22: 30. The station is located in front of terminal B, and a few hundred meters from the other two terminals. From Zhuliany, you can use the 80 Kibcenter line (Glushkova Ave.) - Sevastopolska Sq. Or the two lines of TROLLEYBUS 9 and 22. The latter link the airport with the Lva Tolstogo Sq. Metro stations (9) and Shuliavska, Dorohozhychi, Syrets (22). The ticket costs 4.00 UAH and can be purchased at kiosks or directly by the driver. It must be validated before the trip. There are also several minor lines operated by the so-called MINIBUS, which lead to different areas of Kiev. Prices vary from 4.00 to 6.00 UAH depending on distance. Given the distance from the center of Kiev (about 7 km), the taxi can be a not particularly expensive solution, especially if you are traveling in more people. It is advisable to check in advance the cost of the trip.